Apothecanna products are formulated with natural, nutritious ingredients to help balance the body and the senses. They thoughtfully source organic and wildcrafted essential oils from their native regions of the world. Every ingredient they use is an 'active' ingredient for a specific therapeutic purpose. They do not use artificial ingredients, fillers, parabens or GMO ingredients. The products contain no THC. All of the formulations are original and tested. They believe that natural treatments are the best treatments, and strive to create products with uncompromised purity, quality, and functionality. Pain – Spray, body cream, body oil. 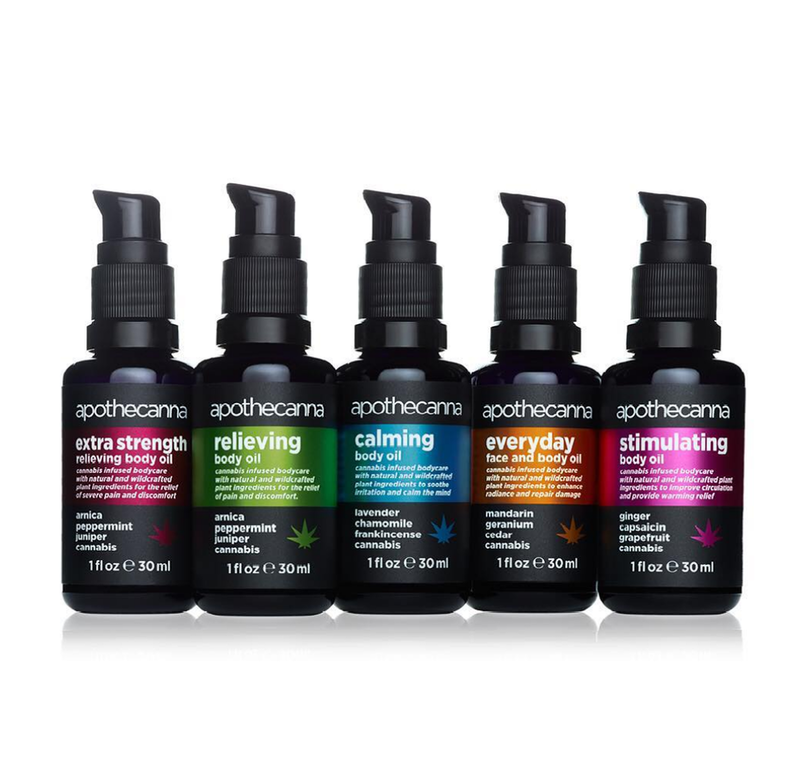 Well-being – Calming drops and body oil. Skincare – Body oil, balm sticks.